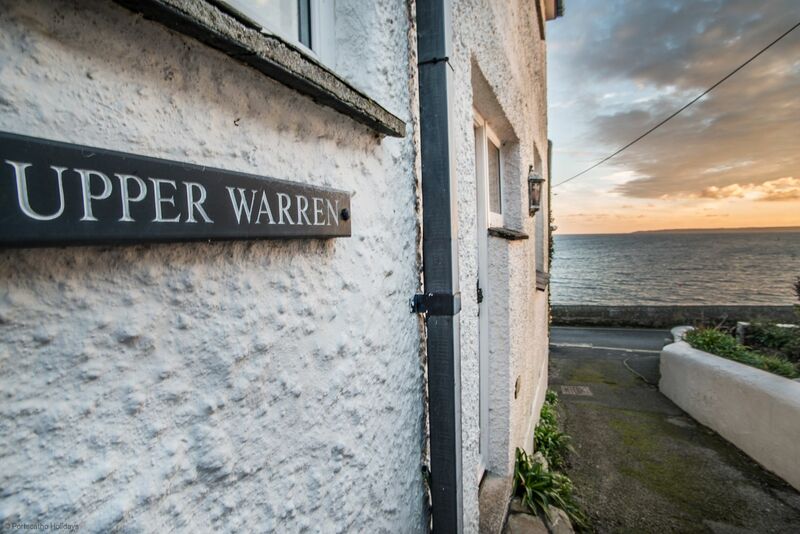 Upper Warren is just yards from Tavern Beach and the sea and a short level walk from the centre of St Mawes with its range of shops, pubs and restaurants and the passenger ferry which runs all year round to Falmouth. It is an ideal family property. The property is being renovated for the 2019 season with a new Kitchen, Bathrooms and redecoration throughout. An upside down house to make the most of the wonderful views to the quay area and the Percuil River and views of Tavern Beach. 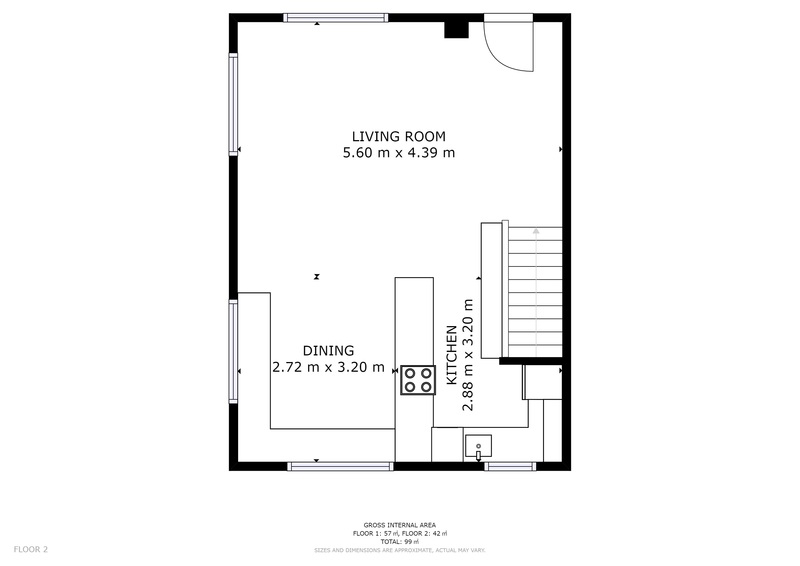 The first floor is a light and airy space with open plan living. The kitchen area is well equipped with microwave, dishwasher, electric oven and hob and fridge freezer and has plenty of working space. There is a large and sociable round dining table and a comfortable sitting room area. There is access to a balcony with views towards the Percuil River. On the ground floor are the three bedrooms and bathrooms. 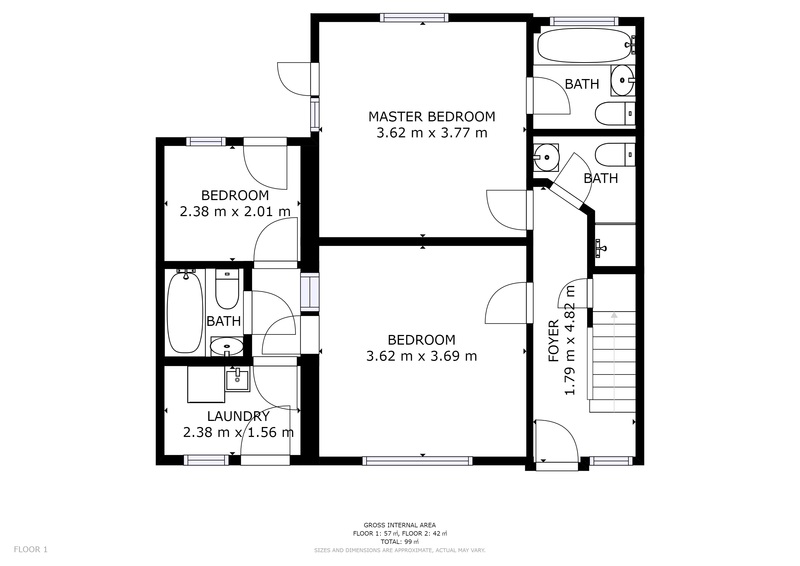 The master double bedroom has a king sized bed, an ensuite bathroom with a hand-held shower attachment. The large second bedroom has twin beds. The third bedroom has full size bunk beds. Access to the third bedroom is via the second bedroom, as is access to the second bathroom with bath and over bath shower and the really useful large utility room with washer/dryer and plenty of space for the wet suits and other beach paraphernalia. There is external access to this room too. There is a further shower room with toilet accessed from the main hallway. All the bedrooms are heated by electric heaters and the bathrooms/shower rooms have heated towel rails. Outside the garden area is set out mainly as a patio with outside furniture, BBQ an ideal space for alfresco dining. A real bonus is parking for one car. Upper Warren - 382087 A holiday property sleeping 6 in St Mawes with parking and just 10 metres from Tavern beach. "The parking is a plus but the access to it is very tight. If you are driving anything but quite a small car I would recommend approaching by Upper Castle Road, then Newton Road , then (as per your directions) Chapel Terrace and Riviera Lane. The house is in a nice situation , close to the front (Lower Castle Road) and so a short walk to everything. Being "upside down" with bedrooms on the ground floor and the living/dining space above you get the benefit of an east west alignment with great light from dawn to dusk. There is a small terrace which also gets the sun and would be pleasant for meals. The kitchen/dining area worked well and was pleasant to be in with a good size table and comfortable chairs. Some elements feel a little dated but everything worked well and was much as we expected from the website photo's and description. Property info sheets were clear and helpful. The overall feel of the property was good. "